This understated yet elegant Michael Kors pendant is the perfect accessory for those days you want to sport a daytime chic look. This beautiful sterling silver pendant is set with dazzling pavé cubic zirconia embellishments, perfect for all your daily luxury needs. 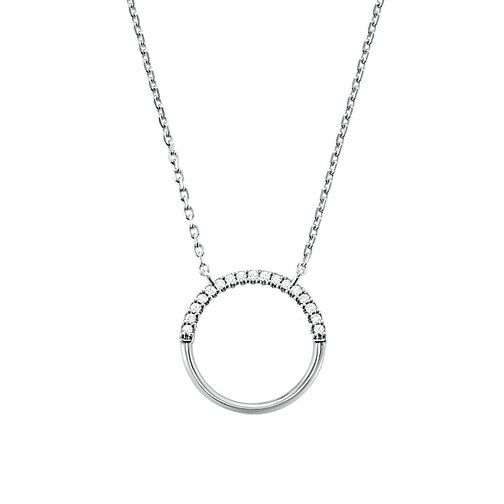 Opt to either layer with other necklaces of varying lengths for a look that exudes editorial chic, or wear alone for a more casual daytime look. Michael Kors is one of the world's most famous and respected fashion designers.